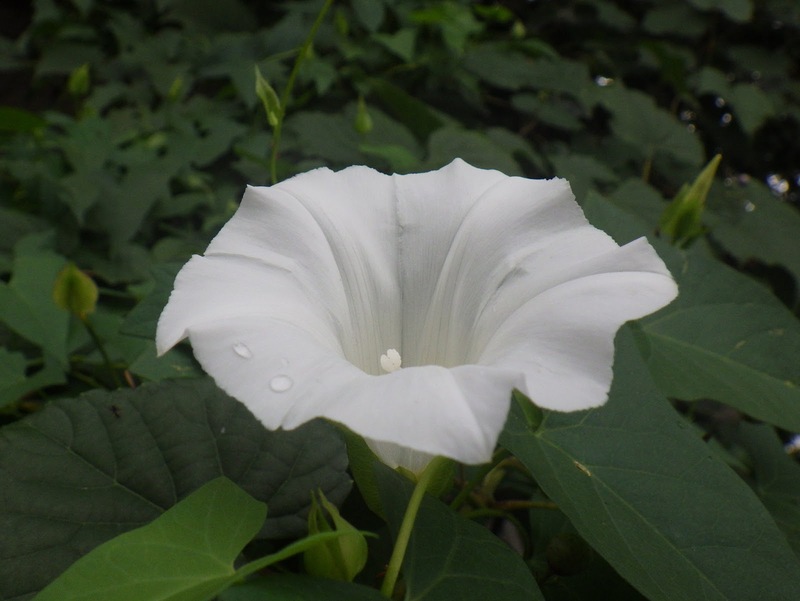 I mostly keep this blog on the happy & fun side, but today I'm thinking of those lost to hate in Pittsburgh PA and Jeffersontown KY. Sad times. Oops, been neglecting the blog for a bit here, got a lot going on in both work and fun - but hey, remember that Weekend at the Races back in early September? I took pictures on both days and uploaded both to Flickr, but only shared the tugboats! Click here for Yonkers photo album. 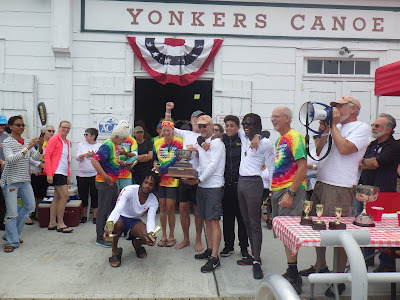 Yonkers was a great day too - more women racers this time so no points for me, but I still had a good time in the races and I did have a great time in the swimming race - the water was murky but such a great temperature, I could've just stayed in there all day. I was almost tempted to go in the stand-up paddleboard race at the end because if I had, I would've been able to say I'd gone in ALL of the races (and I think I would've been the only one to do that! ), but the current was flowing pretty strongly and as I watched the experienced SUPers clawing their way north to the starting line, barely making progress at times, I was relieved that I hadn't given in to that whim - I've tried a SUP once or twice but never for any distance, and I could just imagine myself having to throw in the towel without even starting at best, and being helplessly whirled off to the south (maybe clinging to the board after falling in) & needing a rescue at worst! 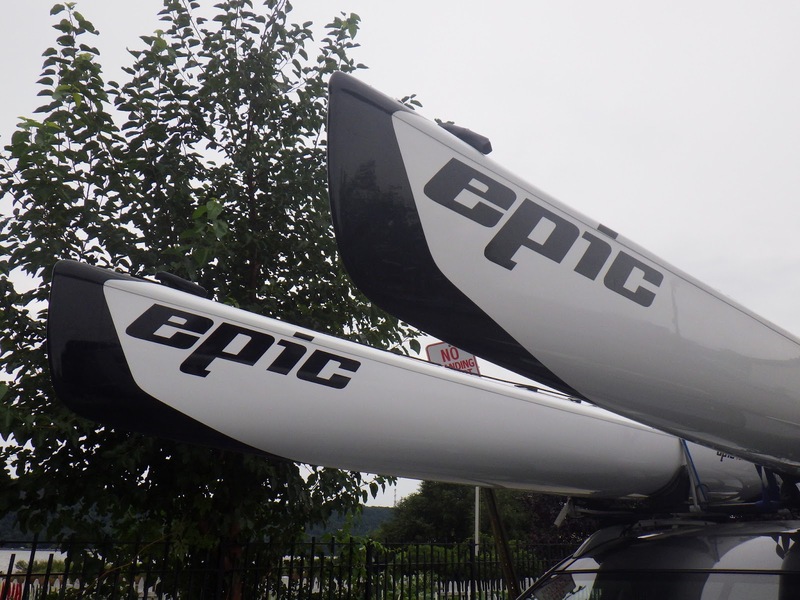 I did go in all 3 distances for kayaking plus the war canoe race. Yonkers Paddling and Rowing Club had a great idea for the canoes - instead of Inwood and Sebago schlepping ours up there, Yonkers just got theirs out and each club took a turn in timed runs. That way nobody can blame what happens on the gear, it's all about the paddlers! Sebago kind of winged it - like I unexpectedly ended up in the bow seat, I haven't been practicing but remembered my bow strokes ok enough to do it - but I think we acquitted ourselves reasonably well. Be fun to actually practice for that next year. Just a couple more from Sunday that didn't quite work with the last post, where I wanted the pictures to just be a super scenic slideshow from a super scenic day. But here are the first brants of Fall, plus a water skier. We've still been having some warm and muggy weather here in October - but the birds of the bay know it's Fall. First brants of the season, resting in the Paerdegat Basin after their long flight from their nesting grounds up north. There are just a few so far but give them a little more time and we'll be back to this - you'll hear ducks and gulls but the noise that goes on through the whole clip is hundreds of brants all talking to each other. Hrrrnk hrrrnk hrrrnk! And this was a first for me - I've never seen anybody water skiing in Jamaica Bay before, but there they go, right through the big fleet of boats that are anchored for fishing off of Floyd Bennett Field. Zoooom! Mind the lines! This is actually funny - the towing boat actually looks like it's set up for fishing, but why not get a little waterskiing in along the way? Excellent multi-tasking! Had to get out on the water today. 10 miles, paddling hard, just me and TQ (first time it was just us in a long time). Tomorrow is the 3 year anniversary of my mastectomy, and then there was chemo and reconstruction surgery in the spring of 2016. The 1st summer, I gave myself a pass. Summer 2017, I didn't get out as much as I wanted to and finished the summer frustrated, feeling slow, easily winded, and still very mistrustful of the reconstructed side. I've done better with water time in summer 2018 though, and between today and turning in a pretty satisfactory performance last week at the Tony P Challenge (post to come), I'm actually feeling like I'm finally getting it back together. Click on any photo for a slide show view. It was cloudy when we got to the club but it turned into a beautiful afternoon. Changes coming to Governors Island? Weigh in by October 9th if you're interested! City of Water Day a few years back. Just a quick post tonight to share some stuff a paddling friend from way back has been sharing on the NYC Kayaker Facebook group. Unfortunately I have to preface it with an "Uff da! ", to borrow a most useful exclamation of dismay from friends of Norwegian descent - it turns out there was one public meeting to review the scoping document, that was a week and a half ago, and the NYC Gov website announcement is VERY vague about submitting comments, just says "Written comments on the Draft Scope of Work may be submitted to the Mayor’s Office of Environmental Coordination until 5:00 P.M. Tuesday, October 9, 2018." There is a contact page, I've sent a message asking if that's an acceptable place to submit a comment. Will update if I hear anything. Worth a try and there's also a mailing address there for snail mail submissions. update slightly later - OK, maybe I can relax a little bit, the Times article does refer to September's meeting as being the first of several. Anyways, pardon me for a somewhat blithery post, I am really just chucking this out there fast because the cutoff date for comments is so darned close and although this blog is not as rabble-rousy as it was back when I was fighting for storage on the Hudson River waterfront, I still think it's very important for people to make themselves heard when they are given the chance. If you read that Times article and find you have some thoughts on the matter, please do try to get them in to the powers that be - I don't know if it'll make a difference but it's worth trying. I am hoping people who care are more aware of this, I've been really caught up in other things for the last couple of months and this just totally took me by surprise when I finally really started reading stuff tonight. I haven't done much drawing this year, but I was inspired today when my sailing friend Jenn shared a Facebook post from the Gateway National Recreation Area featuring a photo of three brand new little Kemp's Ridley sea turtle hatchlings heading for the sea - right here in New York City, on the Rockaway Peninsula. Incredible! First time on record that one of these turtles has nested in New York State. There's a good article about it on the National Park Service website, and a somewhat compressed version on their Facebook page.